Perhaps one of the most overlooked, yet most vital, pieces of technology for mobile hardware is the case. Protection against a variety of slings and arrows, with a range of protective capability, these devices help keep a valuable—and expensive—piece of mobile hardware safe. 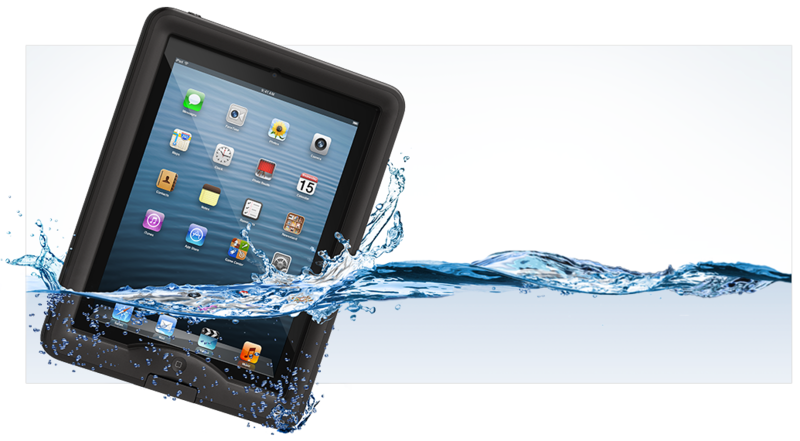 LifeProof recently announced the LifeProof fre case for the iPad Mini, and this case offers a variety of protection capabilities for anyone looking to keep that tiny tablet safe. The LifeProof fre case is said to be waterproof (though to what depth is somewhat unclear—earlier iPhone fre cases, according to Amazon, have been waterproofed to depths of 6.6 feet, so it's a safe bet that the iPad Mini version will do likewise), as well as dirt, snow and shockproof. The fre case boasts full-screen protection, but at the same time will allow access to all standard iPad Mini functions while in the case. The case itself is a slim design, closely fitting the standard dimensions of the iPad Mini itself. Additionally, it includes a tethered headphone jack cover, and—in something of an unusual touch—a shoulder strap to make it even more portable than normal. The fre case for iPad Mini came, according to LifeProof CEO Gary Rayner, as a response to a series of customer demands for a case that provide the kind of protection LifeProof commonly offers yet made available for, usually, the smartphone. The newest case offers not only full protection but it offers it in a bigger form factor. It's also set to come out with a variety of accessories, including a floating jacket to keep it above water, a portfolio cover and a mounting cradle. The full case itself, meanwhile, comes in at $99.99, available this June in either black or white. Indeed, the case is one of the more underappreciated advances in technology. Some cases do little more than look pretty, while some put out a dizzying level of protection. Cases like the Ballistic line, for example, use multiple layers to protect its device cargo, while some cases—like the Mophie Juice Pack—even provide backup battery power when the device's power runs low. LifeProof's fre line, meanwhile, certainly looks to provide some powerful protection—it's not every case that's waterproof, complete with depth indication; most are only water resistant—for devices. It's certainly worth checking into, even if the prices are a bit on the high side. If LifeProof can provide that level of protection for devices, it's likely to find at least a few interested buyers.